Sometimes, we think too much and miss out on opportunities because we always have to examine and evaluate things. It’s the story of my life. By the time I’m done studying something, the chance is gone. So I’ve learned to just do it, jump in, and consider the risk an investment in a dream, rather than watching a train go by with my dreams in it. Last year, I was on cruise ships for most of the time. On this one boat, they had a huge basketball court that was empty most of the trip. 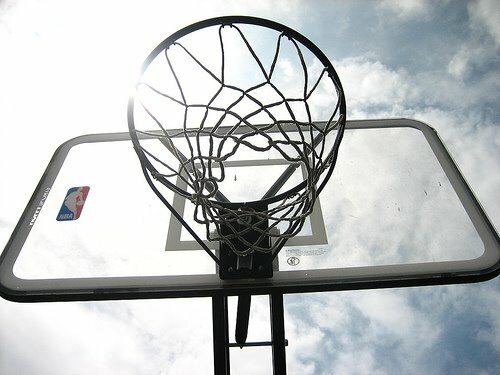 So every night I’d shoot hoops until I fell asleep. Then, out of boredom, people started betting on me to get this or that in. In consecutive shots, I nailed every single one in beyond the 3-point mark. And when I stepped behind the center of the court and the wind of the sea was pushing and pulling people back n’ forth, I was still nailing them 20+ in a row. I never played basketball in school. I made the team once, but got kicked off because I never passed the ball. That’s just me, I like to handle everything myself. I hate the sport. But out of boredom, I became the ship’s all-star pro. How? I never thought about what I was doing. I just threw the ball in there without any strategic thinking or nervousness. I didn’t care. Plus, I knew I wasn’t ever going to see any of those people again. Then earlier this year, I took one of my homies here to play bowling. He never went or played before because it’s not big in Egypt. I never played much either in the States and I’m not that good at it. It was my dad who took us as kids and whenever he was around, I turned into the gutter ball queen. Everything was a science to him. But this time, I managed to get 6 strikes in a row! I was out of control. I did the same thing I did on the ship and I kept getting everything in. I didn’t think about it. Plus, I knew my homie didn’t understand anything about bowling that if I threw the ball across 5 lanes, he’d think it was a pretty cool game. Now, when I did think about what I was doing…that’s when I’d fail. I’m not telling you to NOT THINK, but for non-altering life situations, sometimes you just go for it. I told myself I was going to nail a shot, and I did every time. There was never any doubt in my head that it wasn’t going to go in. None. I ain’t no basketball hero either. But if you put me up in front of Kobe, and no crowds are around to make me nervous or add pressure, I’d bet you I’d beat the turkey…without a single thought. When I walk scary streets alone at night, it never phases me some dude will come at me and kill me, even though the area is known for crime and is dangerous. Nothing ever happens to me. One, I don’t care if a dude comes and kills me or not. Two, I’m the vulture. That dude who would have considered attacking me, sees me, and is afraid of himself getting attacked. That’s the truth. Confidence has a lot to do with it. What you transmit inside to out, people can tap into it. Confidence is the reason why a lot of people succeed. Just believe and you will achieve. Don’t think about it. Just do it. This entry was posted in street culture. Bookmark the permalink.